In many potential litigation matters, a preliminary issue is the place in which the litigation is to proceed. The parties and issues involved can leave substantial questions about which jurisdiction is appropriate one in which the lawsuit should be commenced and tried. The resolution of this issue can have long-reaching consequences as laws and judicial procedures differ from province to province and country to country. The recent case of Bier v. Continental Motors, Inc., 2016 BCSC 1393 (CanLII) centred on such issues. In Bier the plaintiffs were passengers in a small airplane who were suing various parties after the plane crashed in the Yukon. The plane was operated in the Yukon; the apparent cause of the crash, a failed engine, was manufactured in Alabama; and the engine was installed as part of an overhaul by a company which did business in Kelowna, British Columbia. The judgment concerned the application of the manufacturer who contended that BC’s Supreme Court lacked jurisdiction to hear the case or, in the alternative, that the Court should decline its jurisdiction. The manufacturer had a report prepared by an expert which report opined that Alabama’s court would likely refuse to recognize a judgment in BC. The overhaul company tendered a report of their own where their expert concluded Alabama’s court may have recognized a BC judgment. The Court in Bier turned to the Court Jurisdiction and Proceedings Transfer Act (the “Act”), the legislation governing such issues in BC. The Act provides for a two-step process for determining whether the Court will exercise its jurisdiction. there is a real and substantial connection between British Columbia and the facts on which the proceeding against that person is based. Determining whether several categories of territorial competence may apply can be a complex analysis which requires consideration of applicable case law and it is beyond the scope of this article to discuss this process in detail. If there is no territorial competence the Court will decline jurisdiction and the analysis is over. If there is territorial competence, the Court will move on to the second step of the analysis, the forum non conveniens test. In this step, the Court determines whether there is a more suitable forum than BC based on the forum non conveniens test. S. 11 of the Act sets out a host of factors to consider in this analysis including the interests of the parties to a proceeding and the ends of justice. From para. 36 of Bier, “…the objective of the court in deciding a forum non conveniens application is to ensure fairness to the parties and the efficient resolution of the dispute.” Bier confirms at para. 34 that a plaintiff has a presumptive right to proceed in his or her chosen forum. The Court in Bier resolved the territorial competence component of the analysis at paras. 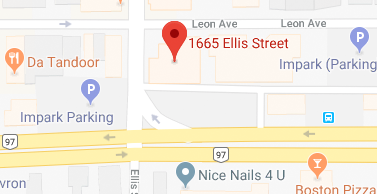 52 and 60 where it determined that the claim concerned a tort committed by the manufacturer in BC and that the manufacturer carried on business in BC. Those two factors created a real and substantial connection to BC. The Court resolved the forum non convienens test at para. 69 where it held that it was not satisfied that Alabama was clearly the more appropriate forum. Bier illustrates that it is crucial for parties who are involved in litigation in which the proper forum might be an issue to obtain legal advice or assistance early. Any number of acts a party takes may inadvertently and irrevocably determine the jurisdiction in which the case is heard and such a determination can materially affect the remedies and rights available to a party. Jeremy Burgess is a litigation associate at Pushor Mitchell. If you have any questions about the foregoing or a legal dispute or potential legal dispute in which you have become involved where the proper jurisdiction is in question, we’d be happy to assist you. 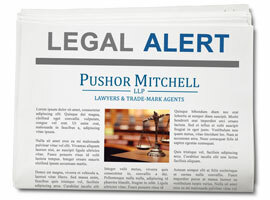 Feel free to contact Jeremy in a confidential manner toll free at 1-800-558-1155 or at burgess@pushormitchell.com. You may also contact our litigation group.